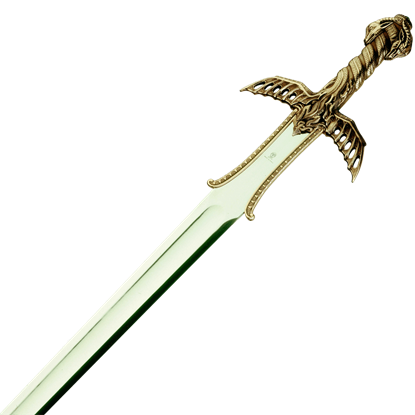 Fantasy swords come in a wide array of imaginative styles, often featuring unique ornamentation for dramatic appearances. 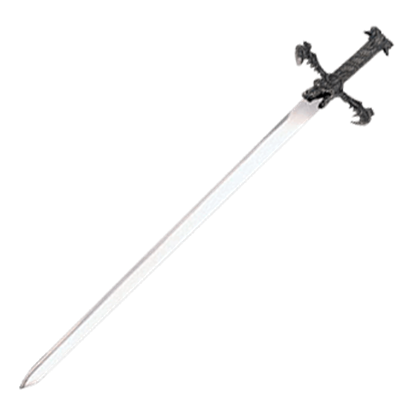 At Buying a Sword, we carry many high quality fantasy blades, including licensed sword replicas from fantasy franchises like Lord of the Rings, Game of Thrones, Conan the Barbarian, the Wheel of Time, the Legend of Zelda, Assassins Creed, and others. 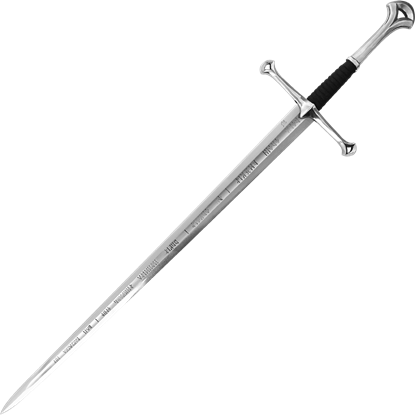 These pieces include replicas of iconic swords like Anduril, Sting, the Master Sword, the Atlantean sword, Oathkeeper, and Longclaw. 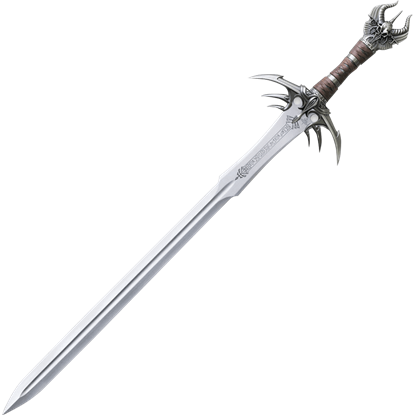 Other swords here have fantastical elements to their designs, making them unique display pieces and collectibles. 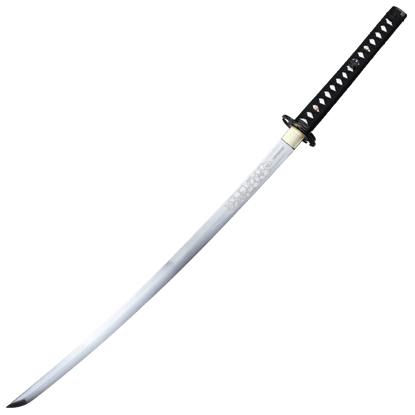 This includes a variety of dragon swords, goddess swords, fantasy katana, and zombie swords. 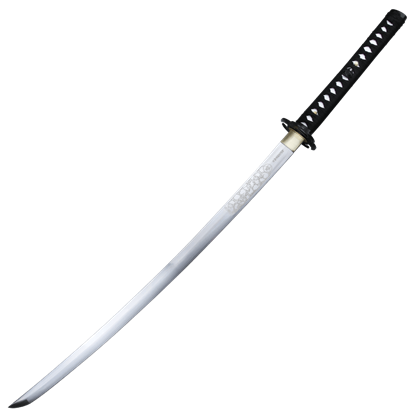 When you want a functional or decorative sword that is certain to stand out, be sure to shop our selection of fantasy swords. The wielder of this imaginative fantasy sword will surely be shortly setting out on a grand quest! 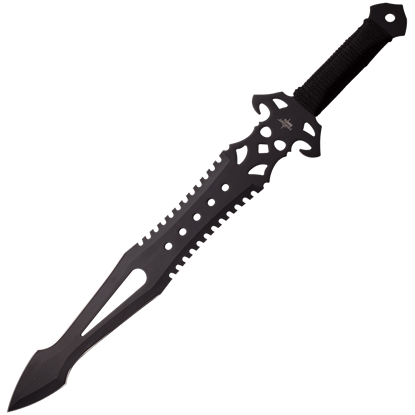 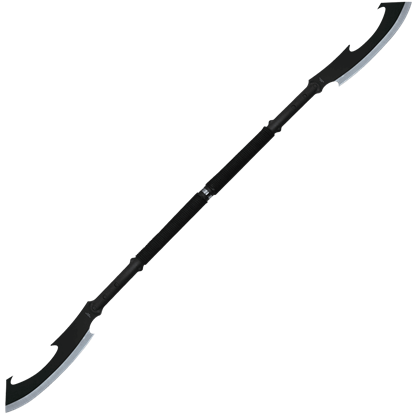 The Black Adventurer Fantasy Short Sword possesses a look that is creative and intimidating with its numerous cutouts and black finish. 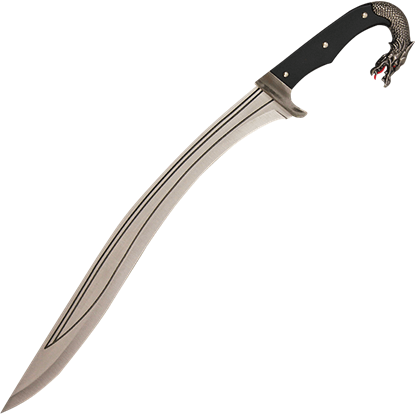 The origins of the falcata style sword, an example of which can be seen in the Black Dragon Falcata and Dagger Set, are believed to be sacrificial blades used in Iron Age Ritual. 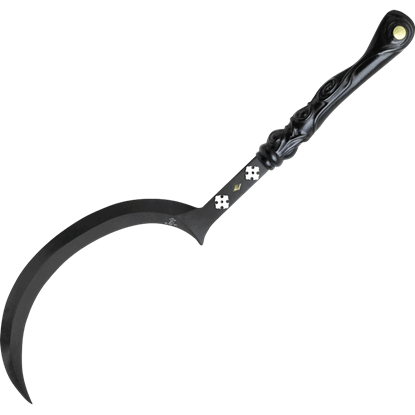 Use these blades to sacrifice enemies to dragons!